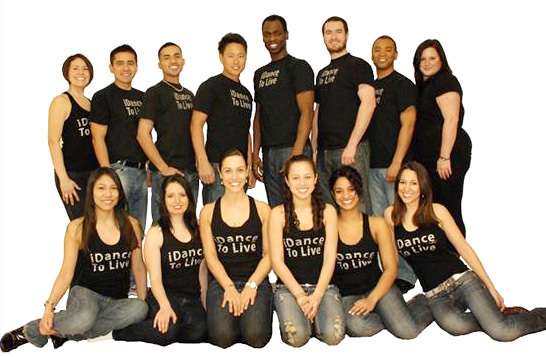 Dance to Live was founded in 1996 by Paula Videla-Rodriguez and joined by Jose Rodriguez in late 1997. This Latin American husband and wife team both choreograph and dance professionally: Paula since 1990 and Jose since 1995. To maintain and enrich their high caliber of instruction, they have attended, instructed and performed at various International Salsa Congresses, including the L.A., Puerto Rico, New York and Canada Salsa Congress. Paula and Jose continue to travel extensively to learn from the world’s best dancers and instructors. They also judge and compete in Salsa competitions, including winning 2nd place in the Professional category at the prestigious Berlin’s 2001 Salsa Competition. Their training also encompasses International Latin Ballroom and Flamenco; Flamenco being one of Paula's passions which she teaches and dances professionally as well, first with Esmeralda Enrique’s Spanish Dance Company and then with Ritmo Flamenco Dance Company. Paula's dance background also includes gymnastics, ballet, Latin American folklore and 23 years experience in the Performing Arts. She co-founded the 'first ever' Bi-Annual Women's Salsa Retreat, and co-directs with her husband their very own performance dance company. As a FULL-TIME instructor, choreographer, and performer, this professional dancer has a wealth of knowledge that is passed on to her students. Ever since Robert was bitten by the salsa bug in the year 2000, it's been a non-stop love affair with salsa, merengue, cha cha and bachata following closely behind. 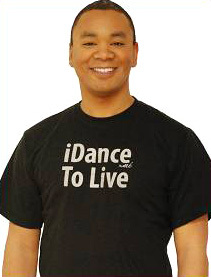 Being with DTL studio since 2000, and a member of DTL's performance group since 2002, Robert has been able to further develop and enhance his own unique style and interpretation of the dance, putting an emphasis on precision, accuracy and styling to ensure both team and couple dynamics. Robert's infectious passion for salsa has not only led him to showcase his talents at the Toronto Salsa Congress, but also puts him first and foremost on the dance floor at the clubs, where he can be found most nights, dancing until the last eight count is done. With a solid base in both Toronto and New York style salsa, and a tried and true self-professed salsa-holic attitude, Robert's dance experience not only makes him a sought after dance partner, but also a great teacher. Carla has always had a love for dance, but her love for salsa blossomed in 2000, when she was taught by Paula at the University of Toronto’s Athletic Center. She continued her training at Soles Dance Studio in 2001, and was part of two choreography programs, which lead to local performances in Toronto. Carla has organized several salsa workshops since, including the fundraiser Christmas for all 2006, and events at U of T departmental graduate student council. She has taken classes for modern dance at U of T, and for hip hop and ladies’ choreography at City Dance Corps. Carla joined DTL in 2007, and couldn’t be happier. She loves having fun with the music, and never gets tired of dancing! Gorete is an award-winning salsa dancer, international fitness presenter and accomplished instructor with over 20 years of experience. Dance and the performing arts have been part of her life since early childhood. Best known for her salsa, Latin and dance choreography her background includes competitive cheerleading, ice dancing and hip-hop. Gorete's talents extend far beyond dancing with B.Sc in Kinesiology and an M.Sc in Ergonomics. Gorete's most recent addiction: Latin Hustle. For the past 2 years she has been attending Salsa and Latin Hustle congresses and events, sanctioned by the International Hustle Dance Association, to learn from the best Latin Hustle dance professionals. 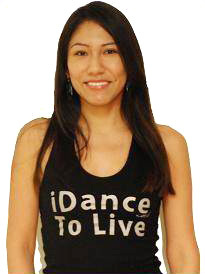 Claudia began dancing salsa, and taking classes at Dance to Live Studio at end of 2004. Then, in 2007, Salsa dancing marked a turning point in Claudia's life, when she started taking lessons with United Salseros and joined their student choreography team, which lead to a performance at the Canada Salsa Congress in 2007. Determined to improve her dance skills, Claudia began taking lessons at various salsa schools in Toronto, finally settling back in with Dance to Live Studio, where she has been trained as an instructor. She continues to develop her Salsa dancing skills on the Dance to Live Amateur Team and Ladies Styling group, where she once again performed at the 2009 Canada Salsa Congress and at social and charity events. Claudia has attended various Salsa Festivals and Congresses in Toronto and Montreal and regularly goes to practice sessions and salsa clubs in Toronto. She has also trained in Hip-hop and Belly Dancing. Since rejoining Dance to Live Studio in 2009, she is keen on sharing her passion and inspiring others to discover the beauty and fluidity of salsa dancing. Banker by day, salsero by night, Young has become one of the most talented dancers in Toronto. As a former principal dancer of Mambo Tribe Salsa Dance Company, he has performed and taught in Paris, Cannes, Nice, Hamburg, Bermuda, Chicago, New York, Philadelphia, Rochester, Detroit, Boston, and Montreal. Young is known for his charismatic presence on the stage, and for his effortless lead and innovative turn patterns on the dance floor. With a Master degree in International Business, Gen works as an Associate Director in a highly recognizable company in Canada. Throughout her dancing career, Gen has traveled to many world wide locations in Europe, South America, USA and Canada to perform and teach. As a former principal dancer of Saltimambo - based in Montreal, under the Direction of Edson Vallon - Gen acquired great technique and achieved maturity as a performer, choreographer and teacher. Gen is known for her speed of execution, spins, precise following and great energy for both on and off the stage. For more info on Young & Gen pls visit their website. Jena began her dance training in community centers at the age of 4 and has been dancing and performing ever since. Jena trained in Musical Theatre at the Avenue Road Arts School through a scholarship from Arts for Children and was a Theatre Major in the Claude Watson Arts Program at Earl Haig S.S. Jena has trained in Ballet, Jazz, Modern and Musical Theatre although her specialties are Hip Hop, Dancehall & Salsa. She has been a part of many Dance Teams including School of Mayhem (Hip Hop), Phantom (Reggae) & Latin Energy Kids (Salsa). In 2009, Jena found a new dance partner in Steven Lopez & a new home at Dance to Live where she is now directing a Ladies Hip Hop Salsa Fusion Performance Team. Jena competed for the first time in Salsa in 2009 at the Summer Salsa Festival in Laval Montreal and placed 2nd. A few months later at the Canada Salsa Congress, Jena & Steven became the Amateur Canadian Salsa Champions! Since then Jena has become a part of Dance to Live’s Professional Team and also a part of Dance to Live’s New Hip Hop Group; Mayhem Royalty continuing to grow, choreograph, teach & perform. Jena has a passion for the Performing Arts. She feels privileged to be able to share her gifts with others and is excited to see where her Dance Career will take her.